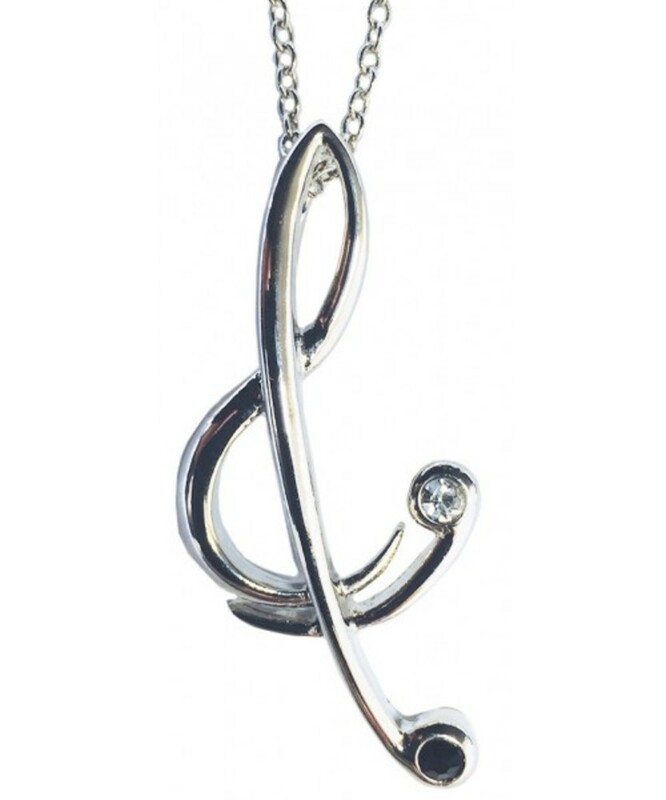 Silver-plated Treble Clef Pendant. 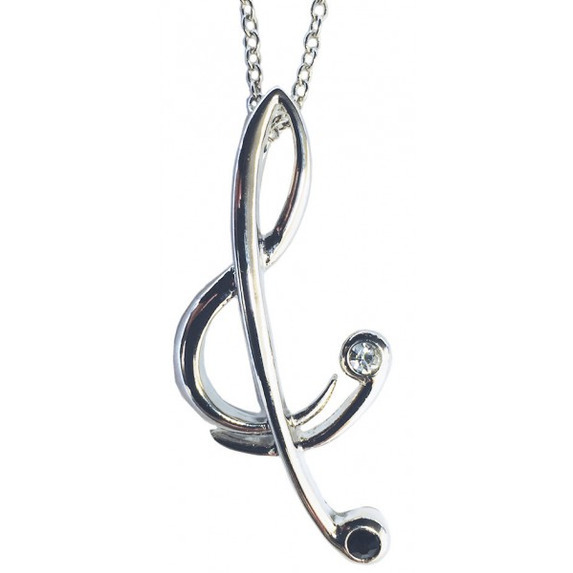 Part of our jewellery collection which has been created by our jewellery designer and decorated with Swavorski crystals. All jewellery is presented in a lined black gift box. Matching earrings available.